Hollywood’s summer blockbuster season may be in full effect, with marquee releases in the vein of Star Trek Beyond and Suicide Squad being readied for release over the next fortnight or so, but it won’t be long before moviegoers will be knee-deep in award-tipped science fiction. Passengers, for instance, is one that immediately springs to mind – not lest because it stars Chris Pratt and Jennifer Lawrence, arguably two of the most in-demand stars of the moment – while Julius Onah’s God Particle is also harboring plenty of promise. 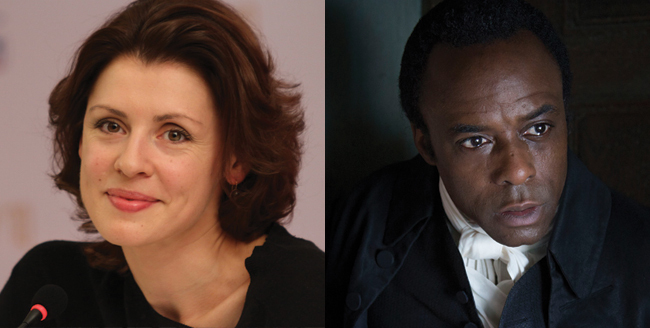 Further down the pipeline is Daniel Espinosa’s sci-fi thriller Life, which has now welcomed aboard Olga Dykhovichnaya and Ariyon Bakare (Jonathan Strange & Mr Norrell) to its appropriately starry ensemble. Set to launch into orbit in March of next year, The Hollywood Reporter has confirmed that Dykhovichnaya and Bakare will be rubbing shoulders with Jake Gyllenhaal on the International Space Station and, as the title suggests, will be tasked “with studying a sample from Mars that may be the first proof of extraterrestrial life. And that life proves more intelligent than ever expected.” Ryan Reynolds, Rebecca Ferguson and Hiroyuki Sanada also line the preliminary cast list. Intially hatched at Paramount Pictures before Sony ultimately came in to take the reins, Life is a co-production between the latter and Skydance. David Ellison, Dana Goldberg, Bonnie Curtis and Julie Lynn round out the team of producers. Espinosa’s space thriller, one that is rumored to have ties to the Cloverfield series, has been penciled in for launch on March 24, 2017.